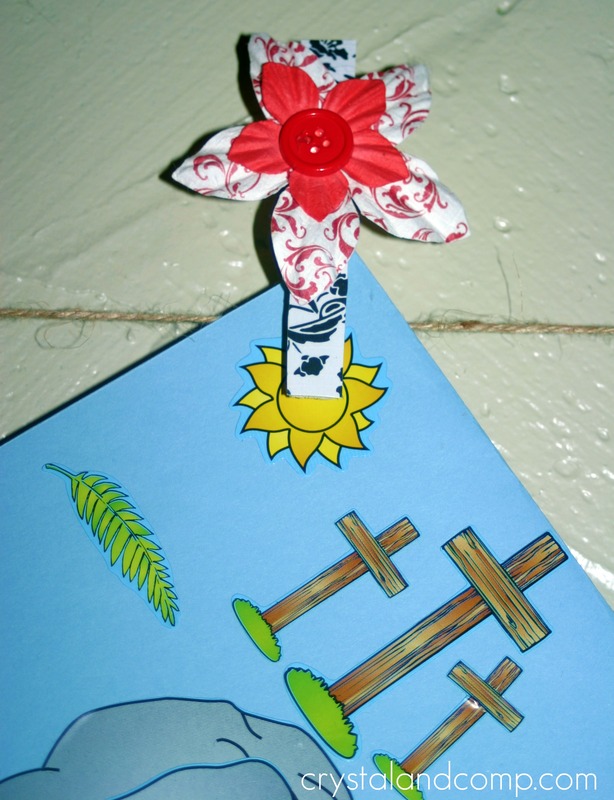 Last month I shared with you an adorable clothespin magnet tutorial that was perfect to give as a teacher gift. We used scrapbook school-themed embellishments to decorate the clothespins. 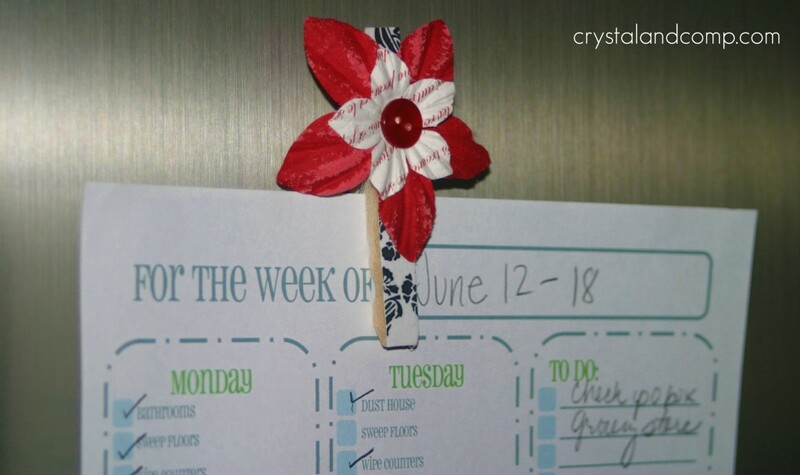 Today, I want to show you how we can make a more feminine version of the magnet using paper flowers and buttons I picked up from the craft store. I love these flowers! They are not only beautiful, but fun! You can find many colors and designs at your local craft store. 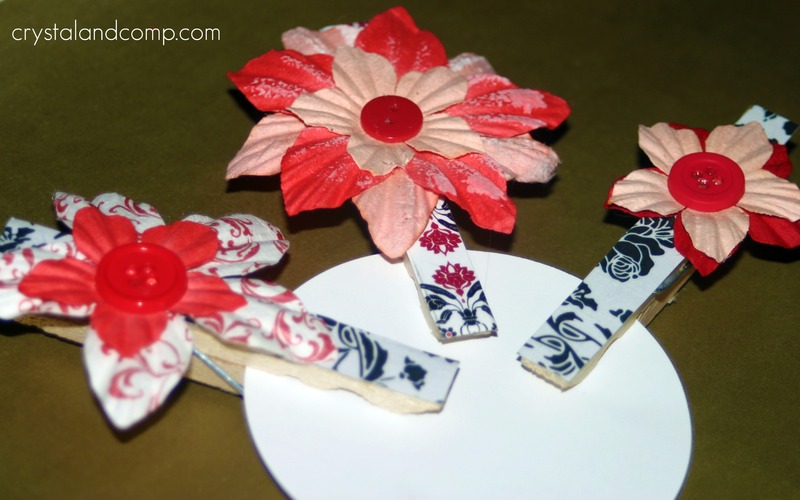 Use Mod Podge to adhere coordinating scrapbook paper to the clothespins. A step by step tutorial can be read here. 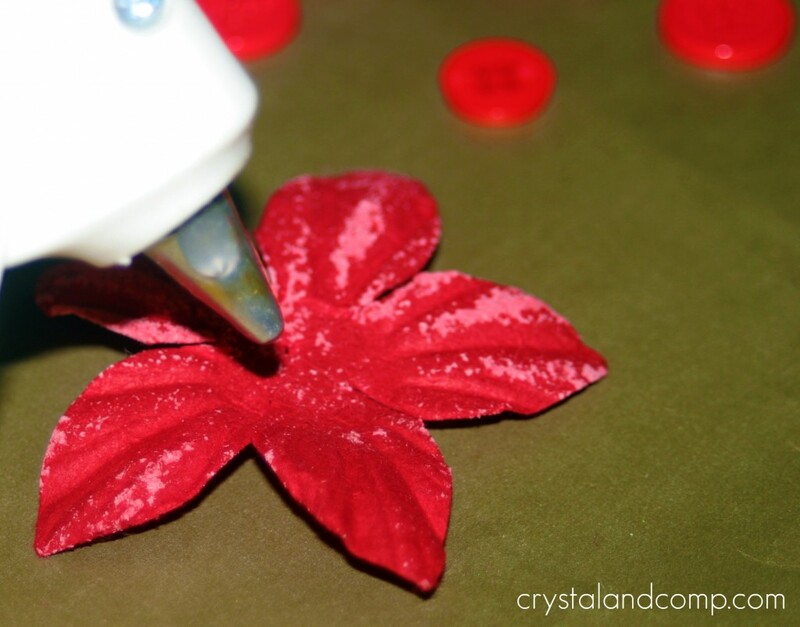 While your Mod Podge is drying, use your glue gun to assemble the flowers. I layered a big flower, a little flower, and then topped it with a button. Each step is assembled using the glue gun. 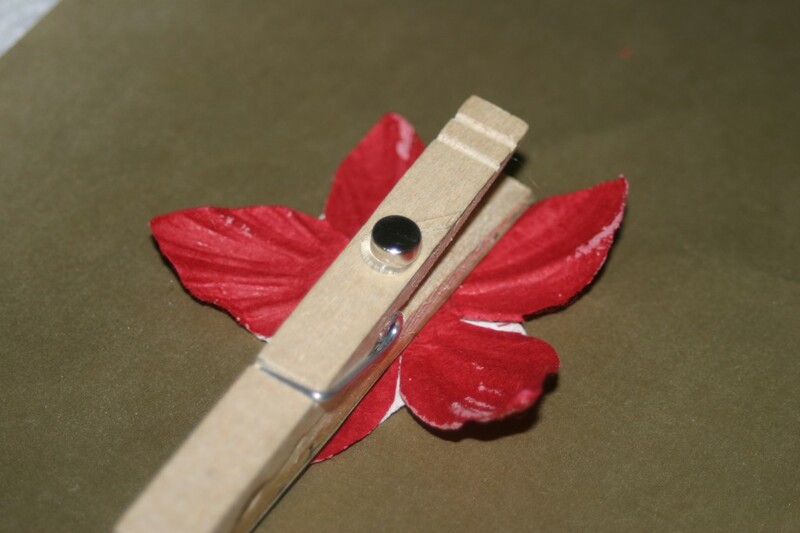 Once the Mod Podge is 100% dry, you can hot glue the flower ensemble to the front of the clothespin. Be creative. You can make them all look them same, or a little different from one another. At this point you can use the clothespin without a magnet to hang art work on twine as I showed you in this post. Or, you can hot glue a magnet to the back like I did here. Now it is perfect for hanging memos and notes on your fridge. Either way, they are practical and useful. A set of these would make a great gift for teacher appreciation, mother’s day, a birthday or even a wedding shower! I am sharing this tutorial on these crafty and resourceful sites: i heart naptime, the girl creative, C.R.A.F.T. craftomatic, crafts keep me sane, skip to my lou, making the world cuter, sumos sweet stuff, mad in crafts, tip junkie, tasty tuesday, tempt my tummy tuesday, craft edition, hope studios, todays creative blog, sew much ado, someday crafts, we are that family, blue cricket designs, somewhat simple, paisley passions, house of hepworths, fun to craft, fingerprints on the fridge, tidy mom, a few of my favorite things and it’s a hodge podge life. Looking for a more copious list? Here are over 50 sites to search for and share projects and tutorials. Cute! I have the clothesline thingy for my papers and photos. I need to take it to the next level and get out the Modge Podge. Lol! Glad you like. 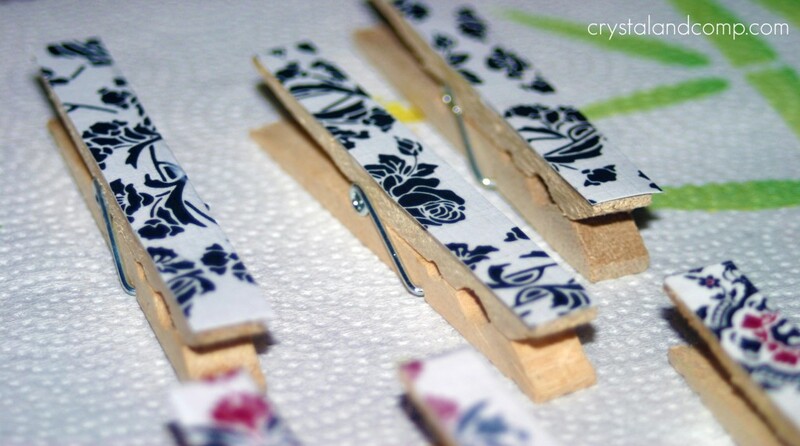 Transforming clothespins into magnets is really super easy! And fun. Very cute! I’ve made some of these but the flowers add a lot!! hi there – this is a fun idea. I have made these before but never thought to add a magnet – duh!!! love the patriotic theme to these…thanks for sharing. Hi, Besides a weekly anything goes link party, I have a new ongoing free give away link party now too. Share your give aways or enter to win. Come strut your stuff! These are so cute, I love buttons and flowers! I so need to make some of these!!! These are adorable and in my favorites – wow! I am your newest follower from Homemaker on a Dime’s blog hop. Those are so cute. I have all the supplies, so I just need to pick up a pack of clothes pins.